Just over 5 years ago, I was just like everyone else tuning into the social media flow of blogs, tweets and FB updates along with reading the mainstream media news about the Kenyan elections. 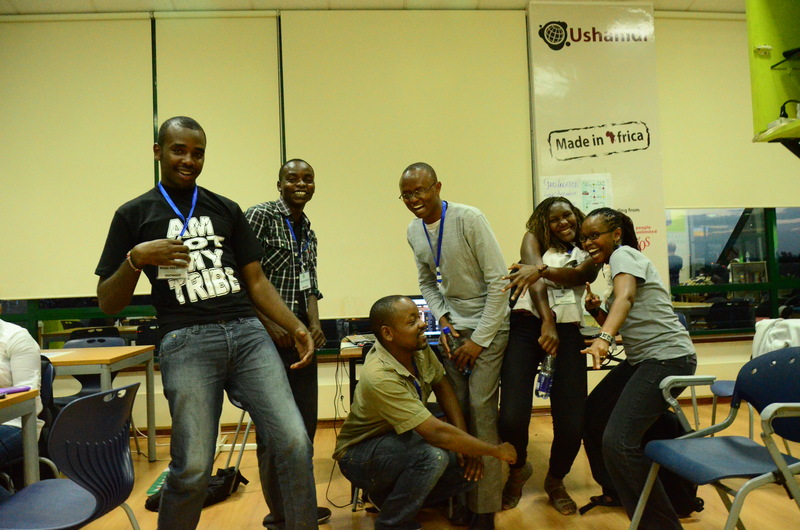 We all know the story – thing fell apart, a small team came together and built Ushahidi, and we started building a new way to handle real-time crisis information. We were reacting and behind from the beginning. Now, the day before Kenya’s elections, I’m sitting in the Uchaguzi Situation Room, we’ve got a live site up already receiving information, 5 years of experience building the software and learning about real-time crowdmapping. There are over 200 volunteers already trained up and ready to help manage the flow of information from the public. This time Kenya’s IEBC is ready, they’re digital, and are doing a phenomenal job of providing base layer data, plus real-time tomorrow (we hope). In short, we’re a lot more prepared than 2008 in 2013, everyone is. However, you’re never actually ready for a big deployment, by it’s very nature the crowdsourcing of information leads to a response reaction, you’re always behind the action. So, our main goal is to make that response processing of signal from noise and getting it to the responding organizations, as fast as possible. If you’d like to know more about the Uchaguzi project, find it on the about page. 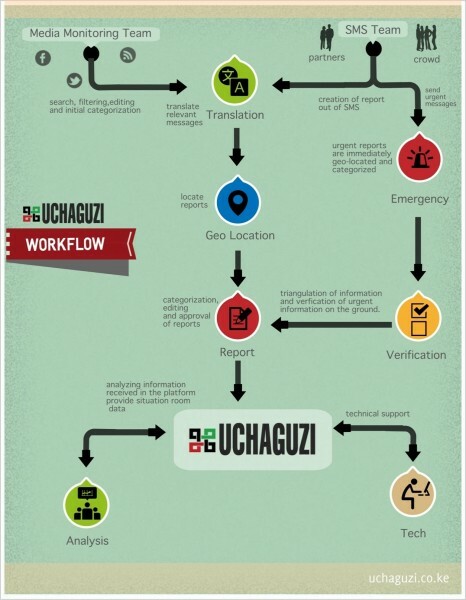 In short, Uchaguzi is an Ushahidi deployment to monitor the Kenyan general election on March 4th 2013. Our aim is to help Kenya have a free, fair, peaceful, and credible general election. Uchaguziâ€™s strategy for this is to contribute to stability in Kenya by increasing transparency and accountability through active citizen participation in the electoral cycles.This strategy is implemented through building a broad network of civil society around Uchaguzi as the national citizen centred electoral observation platform that responds to citizen observations. The next couple days I’ll be heads-down on Uchaguzi, running our Situation Room online and Twitter account (@Uchaguzi), and troubleshooting things here with the team. We’re already getting a lot of information, trying to work out the kinks in how we process the 1,500+ SMS messages that people have sent into our 3002 shortcode, so that tomorrow when things really get crazy we’re ready. As in 2008, your job remains the same; to get the word out to your friends in Kenya, to get more reports into the system, and to support groups working towards a good election experience. A huge thank you to the local and global volunteers who’ve put in many, many hours in the workup to tomorrow and who will be incredibly busy for the next 48 hours. Besides the hard work of going through SMS messages and creating geolocated reports out of them, some of the geomapping team have been busy taking the police contact information and mapping it. They’ve created an overlay of the data, it’s on this page right now, but our plans are to put this on the main map later. Just as in 2008, a few people are making a big difference. All of the volunteers doing the little they can to make their country better.